The Aussie Dog Mitch Ball is designed for medium to large dogs, built tough with the same unique design features as the Aussie Dog Catch balls. Designed for tougher dogs, the red Mitch Ball is harder than blue version and floats on water. These balls are pop proof and will not deflate. As with all Aussie Dog products, these long lasting balls are 100% safe and non-toxic. The Aussie Dog Mitch Ball is designed for medium to large dogs, built tough with the same unique design features as the Aussie Dog Catch balls. 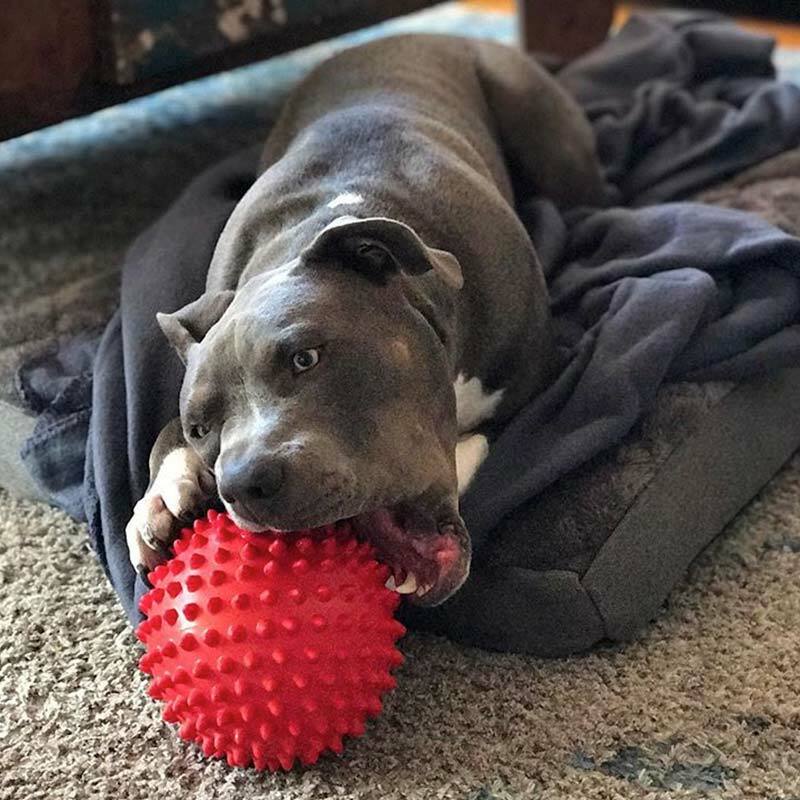 Designed for tougher dogs, the red Mitch Ball is harder than blue version and floats on water.